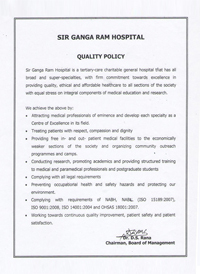 Sir Ganga Ram Hospital is a teritary-care charitable general hospital that has all broad and super-specialties, with firm commitment towards excellence in providing quality, ethical and affordable healthcare to all sections of the society with equal stress on integral components of medical education and research. Attracting medical professionals of eminence who develop each specialty as a Centre of Excellence in its field. 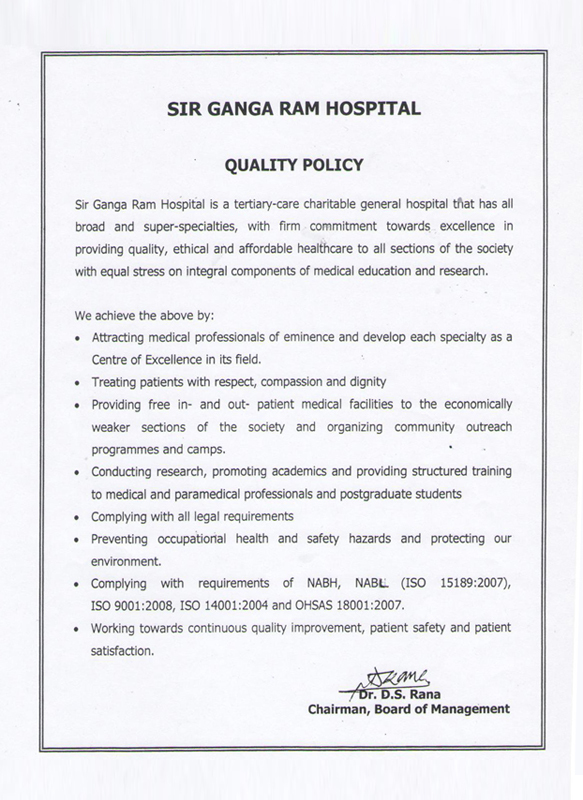 Treating patients with respect, compassion and dignity. 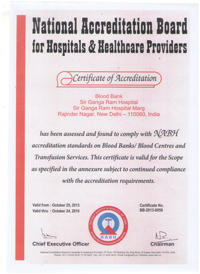 Providing free in- and out- patient medical facilities to the economically weaker sections of the society and organizing community outreach programmes and camps. Conducting research, promoting academics and providing structured training to medical and paramedical professionals and postgraduate students. Ensuring occupational health and safety standards and protecting our environment. 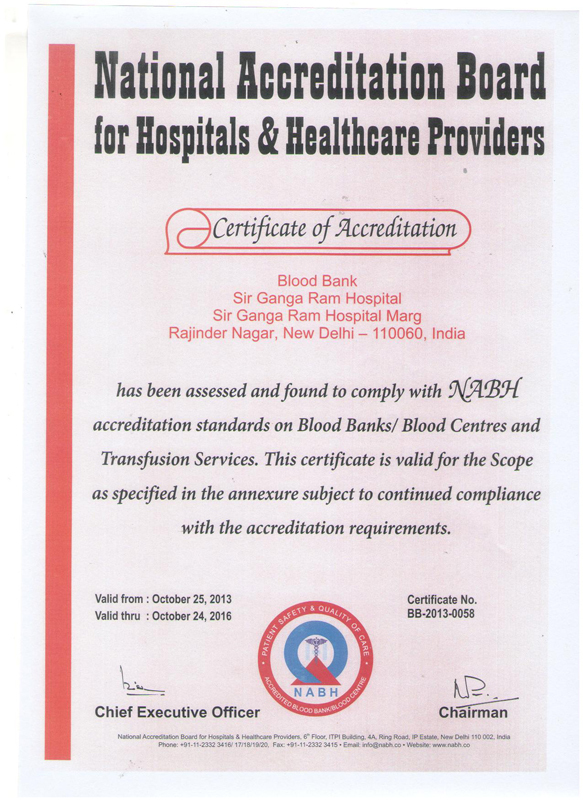 Working towards continuous quality improvement, patient safety and patient satisfaction.